January 1960. Las Vegas is at its smooth, cool peak. 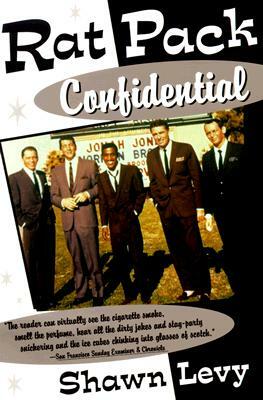 The Strip is a jet-age theme park, and the greatest singer in the history of American popular music summons a group of friends there to make a movie. One is an insouciant singer of Italian songs, ex-partner to the most popular film comedian of the day. One is a short, black, Jewish, one-eyed, singing, dancing wonder. One is an upper-crust British pretty boy turned degenerate B-movie star actor, brother-in-law to an ascendant politician. And one is a stiff-shouldered comic with the quintessential Borscht Belt emcee’s knack for needling one-liners. The architectonically sleek marquee of the Sands Hotel announces their presence simply by listing their names: FRANK SINATRA. DEAN MARTIN. SAMMY DAVIS, JR. PETER LAWFORD. JOEY BISHOP. Around them an entire cast gathers: actors, comics, singers, songwriters, gangsters, politicians, and women, as well as thousands of starstruck everyday folks who fork over pocketfuls of money for the privilege of basking in their presence. They call themselves The Clan. But to an awed world, they are known as The Rat Pack. They had it all. Fame. Gorgeous women. A fabulouse playground of a city and all the money in the world. The backing of fearsome crime lords and the blessing of the President of the United States. But the dark side–over the thin line between pleasure and debauchery, between swinging self-confidence and brutal arrogance–took its toll. In four years, their great ride was over, and showbiz was never the same. Acclaimed Jerry Lewis biographer Shawn Levy has written a dazzling portrait of a time when neon brightness cast sordid shadows. It was Frank’s World, and we just lived in it. SHAWN LEVY is the author of six previous books, including the New York Times bestseller Paul Newman: A Life. He served as film critic of The Oregonian from 1997 to 2012 and is a former senior editor of American Film and a former associate editor of Box Office. His work has appeared in the New York Times, the Los Angeles Times, the San Francisco Chronicle, The Guardian, The Independent, Film Comment, Movieline, and Sight and Sound, among many other publications. He lives in Portland, Oregon. "Superb....Levy's ambitious (and entirely successful) biography is a model of what a celebrity bio ought to be--smart, knowing, insightful, often funny, full of fascinating insiders' stories, always respectful but never worshipful." "Among the finest, most show business-savvy screen biographies ever written." "One of the great, clear-eyed showbiz biographies of our time--a book worthy of comparison to the genre masterpiece, John Lahr's Notes on a Cowardly Lion."